If you are envisaging a slow start on New Year's Day after the excesses of the night before then don't worry: rarely has there been a better time to have a lie-in before settling on the sofa to watch the racing on TV. As usual, Cheltenham has served up a high-class card, while there is also plenty of competitive racing to enjoy at Musselburgh. However, most of the anticipation is centred around who is showing the racing - rather than what they are showing - as New Year's Day marks the start of a new era in the broadcasting of horseracing in Britain. ITV takes over as racing's exclusive terrestrial partner after a 32-year association with Channel 4 came to an end on Welsh National day on Tuesday. ITV Racing starts its initial four-year term as the sport's broadcaster with four races from Cheltenham, kicking off with the Grade 2 Dipper Novices' Chase at 1.25 and concluding with the Grade 2 Relkeel Hurdle at 3.10.
Who's on the ITV racing team? Some familiar faces have made the switch from Channel 4 but ITV has been keen to put its own stamp on things and haven't been afraid to mix things up. Ed Chamberlin, best known for his acclaimed Monday Night Football coverage, has been lured from Sky to front the programme. The high-profile presenter, who worked for Ladbrokes before setting off on his media career, has been a life-long racing fan and described the opportunity as "too good to turn down". He's also the subject of a major interview in Sunday's Racing Post. Former jockey Mick Fitzgerald, Rishi Persad and Alice Plunkett have all made the switch from Channel 4, but Nick Luck and Clare Balding - the two main presenters on Channel 4 - aren't part of the team. There may be only five runners in the Dipper (1.25) but, as the King George proved, you don't need big fields to make for an exciting race. Whisper, a winner at Cheltenham on his seasonal reappearance, clashes with stablemate O O Seven and the exciting Clan Des Obeaux. Improving mare Briery Belle, a winner of both starts over fences, adds extra spice to an intriguing contest. More Of That used the Relkeel Hurdle (3.10) as the springboard for World Hurdle success in 2013 and, while this year's race may be lacking a star, some evenly-matched, likeable horses go to post in a fascinating contest which could make for a decent betting heat. If you are looking for a bet, it may be worth checking out the 3m2½f handicap (12.50) which takes place before the ITV cameras start rolling. Racing Post expert Paul Kealy and Paddy Power's Frank Hickey both agree that there is one horse well worth backing. 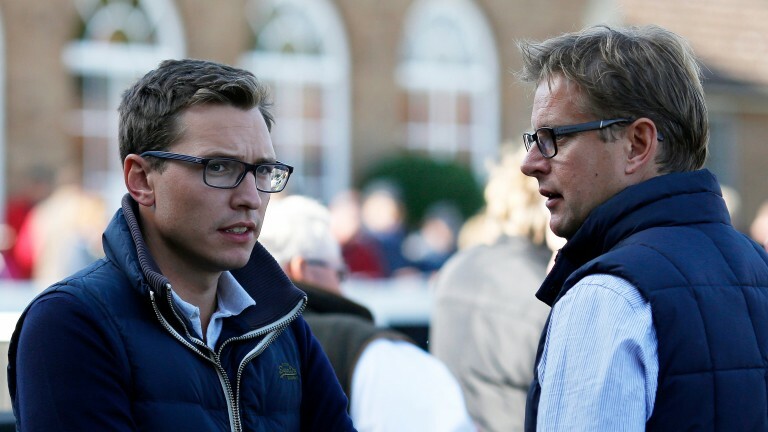 You can find out who they are talking about by listening to the Racing Post Postcast. There is currently £387,617 in the win pool of the Scoop6 after the bet rolled over again on Boxing Day, while there is another £105,034 in the bonus fund. With the pot set to swell further on New Year's Day a single winner of both funds could be set to take away something in the region of £750,000. Not a bad way to start 2017!